Philadelphia Purchases Land for New Air Cargo Facility - American Supply Co. The Port of Philadelphia has undergone an extensive renovation and expansion process over the course of the past several years, allowing its import volume to grow by more than 201 percent in 2017 alone. 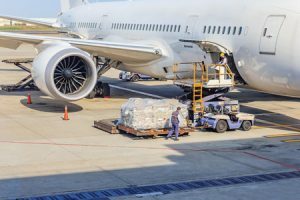 Soon, city officials will refocus their attention on a new project that’s designed to facilitate the growth of air cargo traffic in Philadelphia as well. Earlier this year, the city purchased a 135-acre parcel of land adjacent to the Philadelphia International Airport (PHL) as the first step in a plan to significantly expand the airport’s air cargo infrastructure. Now, officials are reviewing the sale of an additional 15-acres of land for the new cargo facility, which is expected to be operational in an estimated two to three years. With the construction of this new air cargo facility, Cameron hopes PHL will finally be able to effectively tap into the $54 billion cargo transportation industry. Airport officials are also optimistic that this will be an ideal time to grow PHL’s cargo transportation infrastructure, as e-commerce are expected to more than double by 2020. At American Supply Company, we’re proud to support the continued growth of the transportation industry in Philadelphia by offering bonded warehousing and commercial storage services to our clients. To learn more about our warehousing and distribution capabilities, feel free to give us a call or contact us online today!